Noted architect Irving Gill certainly left his mark on Coronado in the late 19th and early 20th centuries. He designed celebrated homes and buildings all over the island that still stand today; a testament to his craftsmanship. 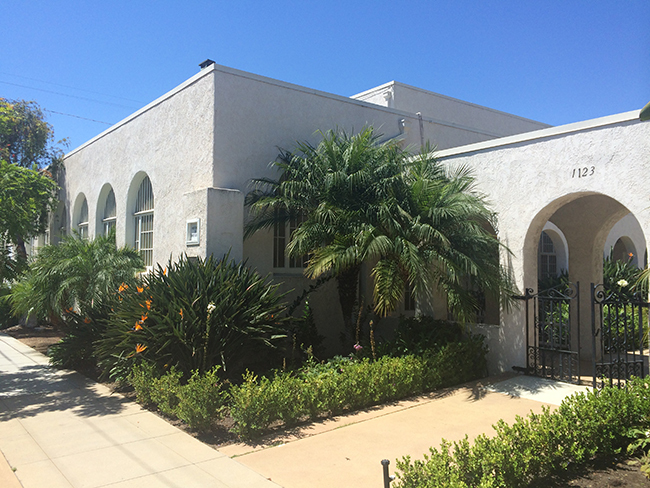 One such building is the First Church of Christ, Scientist, Coronado on the corner of Eighth Avenue and C Street. The church, which will celebrate its centennial in February, was formally granted its charter on Feb. 18, 1916. By 1928, the temporary building that had housed the church had been leveled and construction was completed on Gill’s design. The first church service in the building was held on Dec. 3, 1928. Only nine years later in October 1937, the church was dedicated — free of debt. And nearly a half century later, in June 1980, the Coronado Historical Association declared the church a historic landmark. Gill’s design for the church was a departure from the heavy Victorian influence that dominated San Diego in the early 1900s. 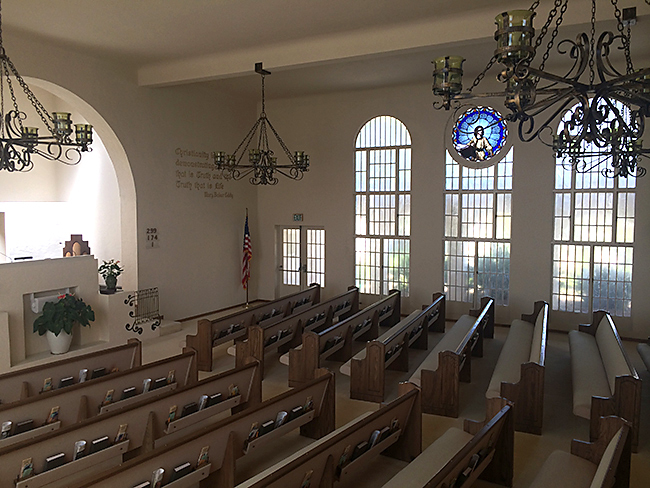 At the turn of the century Gill was inspired by adobe missions and favored simple elements such as flat roofs, concrete, white or near-white exterior and interior walls, skylights, and ground-level arches and breezeways reminiscent of the California missions. Each of these elements is prominent in the First Church of Christ, Scientist, where members, such as Margaret Richardson, still enjoy the simple beauty of his design. Nestled above the grand arched windows on either side of the main hall are two colorful stained-glass windows. One, depicting Jesus Christ, is original. The other, which lists the church’s Seven Synonyms for God (life, truth, love, spirit, soul, mind and principle), was donated by a family in the late 1940s. Christian Science was developed by Mary Baker Eddy in 1866. After suffering an injury, Eddy began studying the Bible and, in particular, stories of Jesus’ healing. For years she studied these stories and, in 1875, wrote a book called Science and Health with Key to the Scriptures, describing the teachings and healings of Jesus as a complete and coherent science that was demonstrated and proven through his healings. This book and the Bible serve as the two central texts for the religion. On any given Sunday, in every single Christian Science church, the same service is offered. Two readers, who are elected by church members, use a quarterly publication in conjunction with Bible scripture and hymns to deliver a unified message. Sunday services work in conjunction with the Wednesday “testimony meetings,” where church members share stories of healing. Both are open to the public. Richardson explained that testimony meetings tend to be an intimate, family-size group of people, whereas Sunday services can be around 50 people. The church Reading Room, which offers an array of Christian Science literature and a quiet place for study, is open to the public Mondays and Tuesdays from noon to 2 p.m., Wednesdays from 4 to 6:30 p.m., and Sundays from 11:15 a.m. to 12:30 p.m. Public church tours are also available during these times. First Church of Christ, Scientist, on the corner of 8th Street and C Avenue, was designed by architect Irving Gill in 1928. The church, established in 1916, will celebrate its centennial in February. 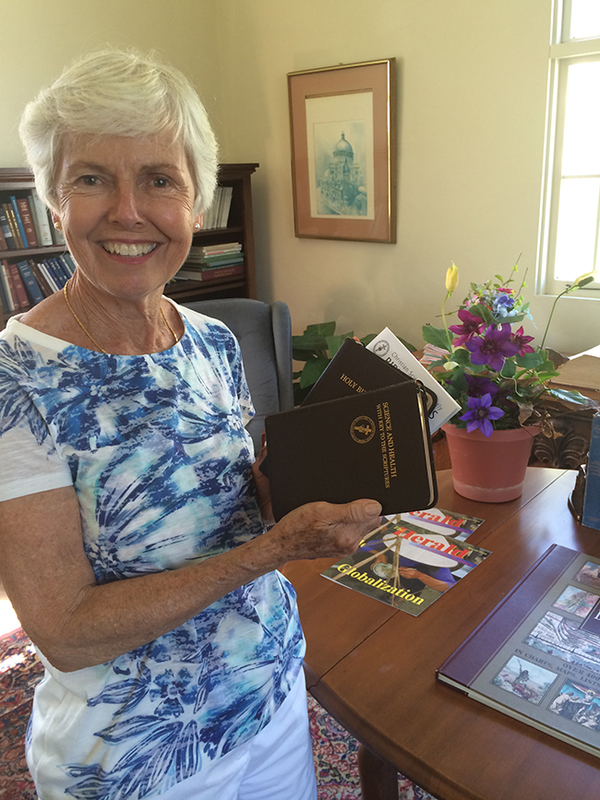 Margaret Richardson, the church’s Reading Room librarian, shows the central texts of the religion. 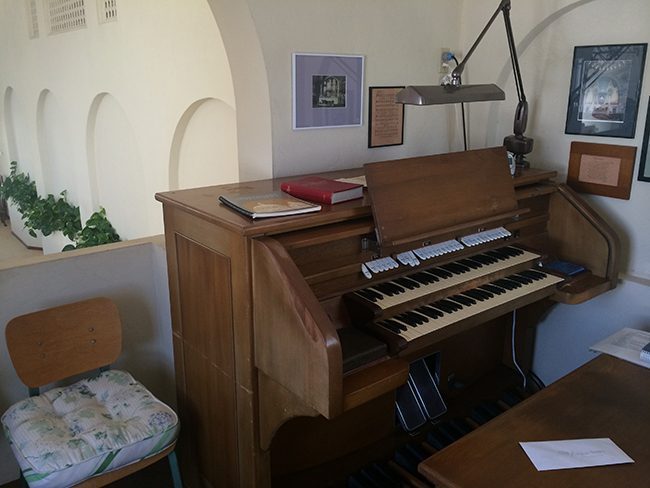 The organ’s pipes were built right into the walls of the church in 1928. A resident organist plays for every Sunday service. The main hall of the church is well-lit by tall arched windows, a common element in Gill’s designs of the time. Sunday service & Sunday school, 10 a.m.
Wednesday testimony meeting, 7 p.m.